Snooker betting is the favorite entertainment of people who love this billiards variation. Most stakes are made late in the season when the World Championship takes place. This sport features quite a number of breathtaking competitions and contests. 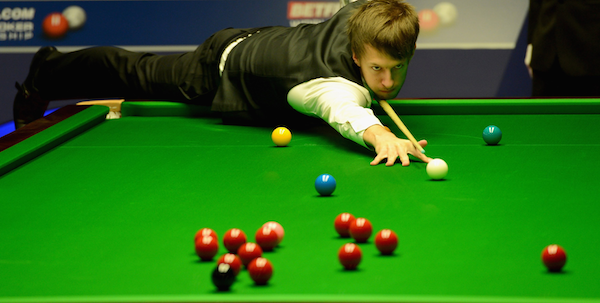 This creates a variety of opportunities to bet on snooker. Like in other sports, snooker bets on the victory of a team (or a player) are the most common among bettors. While other sporting competitions may end in a draw, a game of snooker can’t have a draw. This makes wagering much more exciting and, more importantly, easy. Frames. You can wager on how many games (frames) a match will have. Points scored in a frame. You need to predict whether two players can score the total of 100 points. Century break. You need to predict how may century breaks (a score of 100 points) a player will score during a match. This wager type is only available in snooker betting. A bettor needs to predict whether a frame, match or tournament will feature the maximum break. The maximum break is usually 147 points (aka “one-four-seven”). Bear in mind that the chances of having the maximum break are very slim. Over the 140-years’ history of the sport, the maximum has been achieved only 114 times. The World Championship is the most anticipated event of the season. 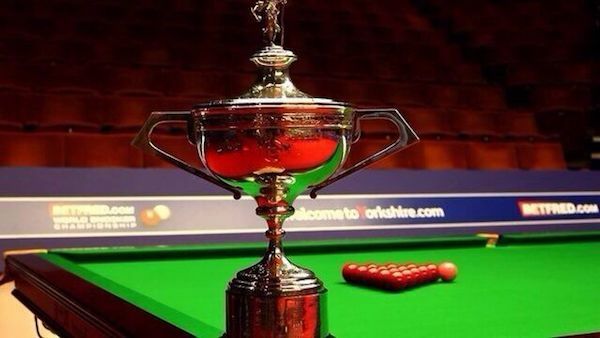 All major bookmakers calculate snooker betting odds on contestants that include the world’s best players. In the 1973/1974 season, the Championship was included into the list of high-ranking sports competitions. That adjustment improved snooker reputation in the international arena and introduced the sport to the wider public. Contenders get big points for participating in the Championship, while the title winner is awarded with a big money prize. Held at the end of the year, the prestigious tournament is contested over 17 days. Over its 80-years’ history, the Championship was organized in three countries, including Australia, Great Britain, and South Africa. Although the British players have the biggest number of wins, they are closely followed by other strong teams. Neil Robertson from Australia is one of the leading snooker players in the world and the long-time favorite among bettors. Over the recent years, it has been rumored that the Championship may be relocated to China. Its current venue, the Crucible Theatre in Sheffield, will host the event until at least 2017. The idea to relocate the competition to China has its strong reasons: Chinese sports lovers take great interest in snooker world championship betting. Curiously enough, in the past the tournament could last for over a year. That proved ineffective as the competition failed to hold the attention of the audience over such a long period. The most recent Championships lasted for two weeks, from the middle of April through the beginning of May. This is the time when bettors enjoy world snooker betting. To take part in the competition, contenders first need to qualify. Until 2010, the qualifying competition consisted of two rounds. The first round was held in winter and featured weaker players. The spring round included top-ranking contestants. Since 2011, the rounds are organized with just 1-day break between them. After the first round, bettors and other sports fans can identify favorites and analyze masters snooker betting options. For competing in the World Championship, players get big points. The title winner gets several thousands points, allowing him to move up in the ranking and even end up on the top of the list. To place a snooker bet on players competing for the champion title, you need analyze their performance during the season. With the tournament held at the end of the season, bettors have no lack of analytical information to make accurate predictions and earn big payouts. Using a snooker betting odds checker, you can easily compare odds across different websites and pick the most lucrative and high-paying options. A player’s position on the world ranking is a valuable source of information for bettors. The higher the ranking, the higher are the chances to win the prestigious title. Remember, though, that strong contestants have low odds to bet in play snooker. On the other hand, overestimating the importance of a player’s ranking may be dangerous. The situation may change overnight. Bear in mind that a favorite may fall short of fans’ expectations and lose to a weaker opponent. As the competition is contested over two weeks, bettors can enjoy multiple live snooker betting opportunities. You can make wagers and adjust your predictions as the contest proceeds. The highest odds are available before or early into the championship. As the contest progresses and the situation become clearer, the odds go down. The good news is that you can increase your winning chances using live stakes. If you decided to test your luck at live stakes, prepare to watch the entire match patiently. Although a match features a pre-determined number of frames (games), snooker is a very slow sport that requires focus and concentration. Snooker is an individual sport. At the same time, team competitions also take place. Be sure to focus on a player’s past performance, physical and emotional health. More than any other sport, snooker relies on composure and focus.